PVS consistently produces quality structural steel products for projects up to 25,000 tons around the world. With more that 500,000 rail-serviced square feet under one roof and 30 acres of storage area at our disposal, we can provide solutions to your biggest challenges. Founded in 1885 as Paxton & Vierling Iron Works, we’ve been a part of American Midwest history for more than a century. With half a million square feet to our name, we’re not exactly little. It’s more a testament to our proven ability to manage projects both large and small. PVS has a limited number of openings for experiences welders and fitters at above industry average rates. 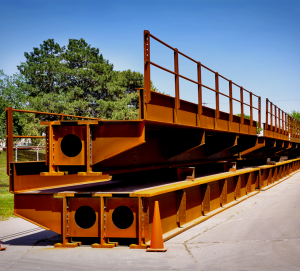 As one of the top industrial fabricators in the United States, PVS Structures consistently produces quality structural steel products for projects up to 20,000 tons around the world. From our engineers to our managers to our accountants, every employee utilizes the latest technology to meet project requirements on schedule, within budget and exactly as the customer specifies. As part of Owen Industries, a family owned and operated group of steel fabrication and steel service centers, we have access to a large inventory of products, including sheet, plate, structural, tool steel and long stock, as well as access to precision equipment unrivaled in the industry. We offer precision cutting, drilling, sawing, bending, blasting, painting and much more. And with more than 500,000 rail-serviced square feet under one roof and 30 acres of storage area at our disposal, we can provide solutions to the largest of your challenges. The strength of our companies will reflect the strength of our culture, our people, our attitude and our ability to be more than just the sum of our parts. Through teamwork, cooperation and communication, we will exceed customer expectations for quality, delivery and service.